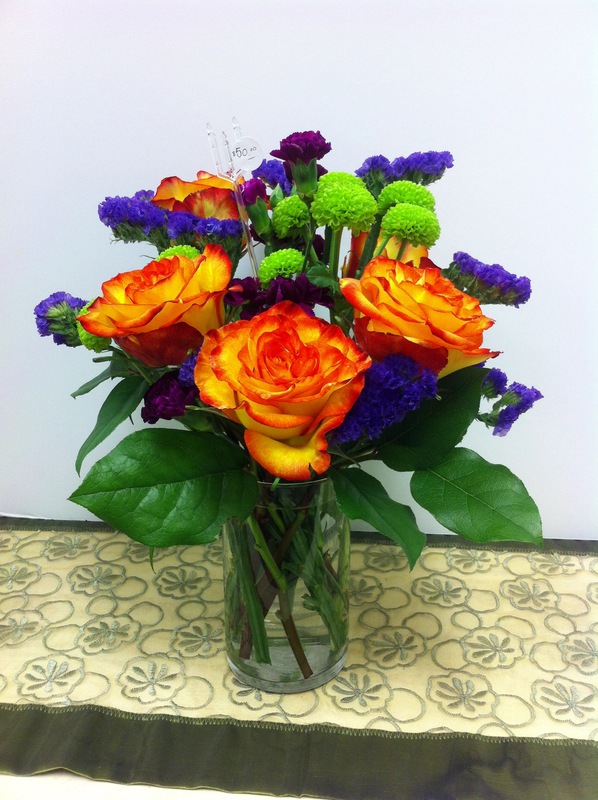 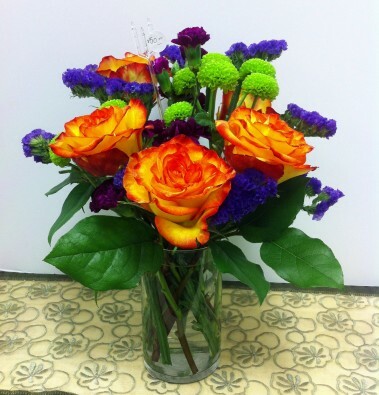 High and Magic roses, Green Kermit mums, Purple Statice, Burgundy Mini Carnations and Salal greens. 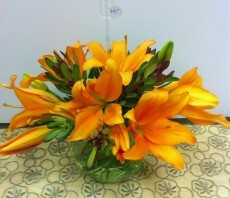 Medium and large sizes contain larger number of stems. 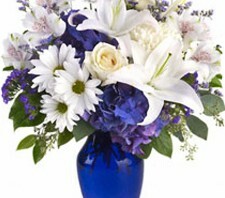 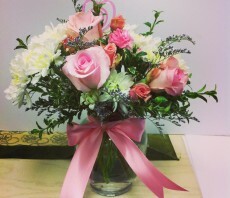 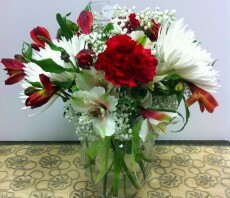 Arrangement will be as similar as possible based on season and flower availability.